Carlton rookie Tomas Bugg has announced his AFL retirement just months after joining the Blues. Carlton midfielder Tomas Bugg has sensationally retired less than three months after the Blues had thrown him an AFL lifeline at November's rookie draft. The 25-year-old was suspended for six matches in 2017 after he broke Sydney youngster Callum Mills' jaw in an ugly off-the-ball incident. Bugg's involvement in a burgeoning social media business is behind his decision to walk away from the game. "My life away from football has changed in a very short period of time which has been the reason behind this tough decision," Bugg said. "The players and staff at Carlton have been so welcoming and supportive to me. I cannot thank them enough. "Everyone is working incredibly hard to take the club back to where it needs to be - you see that every day when you walk through the door." 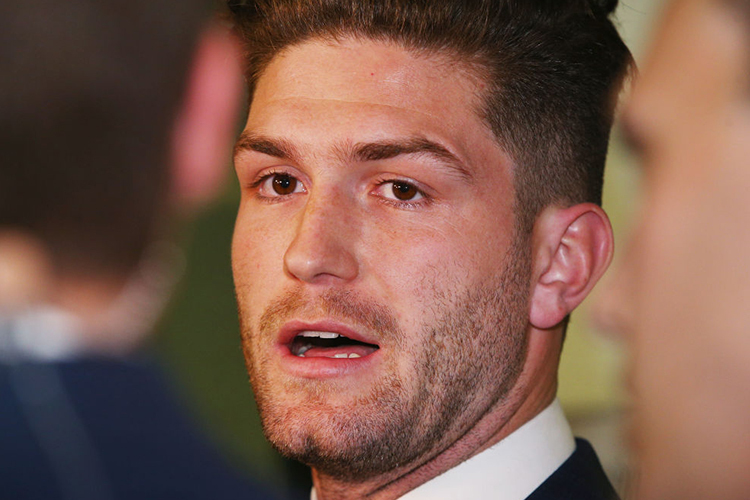 Bugg's retirement comes on the heels of Alex Fasolo's broken arm, suffered in an alcohol-fuelled Australia Day celebration. Fasolo's incident continued a disastrous pre-season campaign for the Blues, that had included injuries to Sam Docherty (ACL), Matthew Kreuzer (knee), Mitch McGovern (back fracture), Liam Jones (broken hand) and Jarrod Pickett (patella rupture). At least Carlton won't be left short-handed as a result of Bugg's departure. "The new AFL rules are perfect for situations such as this," Blues football boss Brad Lloyd said. "We now have an opportunity to add a player to our group who will be a valuable contributor to our football club."